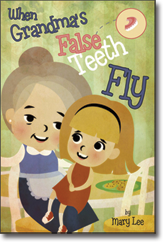 "When Grandma's False Teeth Fly is a cute book that is well received by children. I have had the opportunity to read this book to several third grade classes who thoroughly enjoyed it. 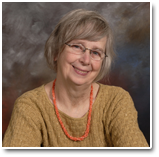 We were able to discuss the topics of embarrassment, bullying, relationships with grandparents, memories, sharing stories, and even baby teeth vs. adult teeth. It is a book that youngsters will be able to learn to read on their own after hearing the book several times. It is a great lesson regarding taking an embarrassing situation and turning it into a positive situation. It opens the door to discussing bullying, although this book doesn't provide a lot of solutions, the conversation will lead to adults sharing possible strategies with the children listening to the story. I feel the best lesson is helping children learn how to change an embarrassing moment from a "laughing at" moment to a "laughing with" moment. We all could improve in that department."